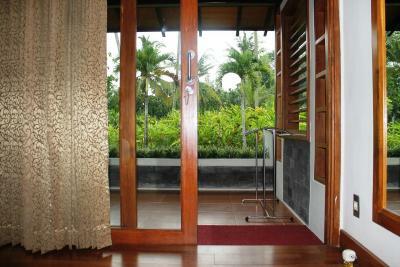 Lock in a great price for Manohara Resort – rated 8.3 by recent guests! Location is perfect. Literally inside of the park grounds, so if you want to visit the temple this is where you should stay (especially for the early sunrise tour). Breakfast was great every morning. Staff is friendly. 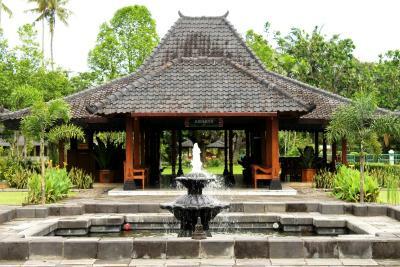 Right next to Borobudur temple, in the middle of beautiful gardens. Excellent buffet breakfast. Free bikes. Not far from the bus station. Borobudur is just beside it. Extra pay for sunrise and sunset. Room rate includes multiple entrance of Borobudur, afternoon tea, breakfast and video show. Room is clean. Restaurant has delicious food. 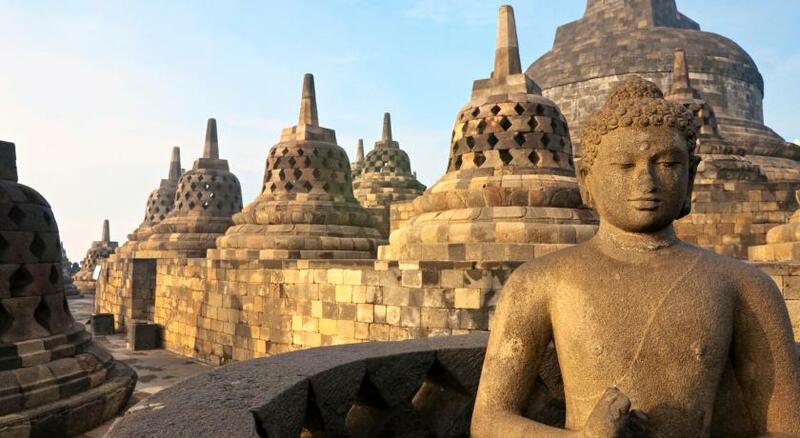 extremely convenient for accessing Borobudur Temple. 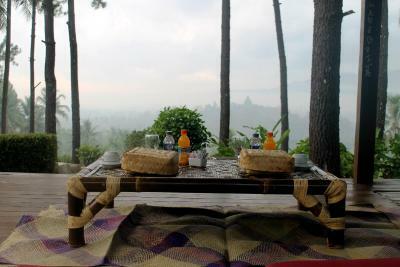 Location & proximity to Borobudur is unsurpassed. Gorgeous grounds with glorious landscaping. The location is wonderful- can't be better. The patio outside our room was lovely. Having a nice shower (instead of an useless tub-shower) was heavenly. The grounds are lovely and peaceful. The check-in lobby very welcoming. 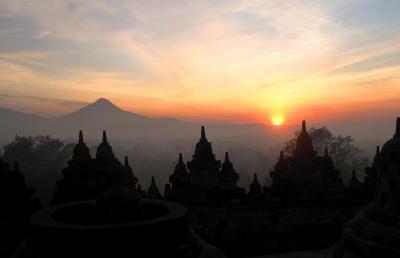 Great location for visiting Borobudur and watching sunrise. I like the Breakfast,taste good.Yummy! Dinner : Nasi Goreng ,YUmyumyum! Very peaceful - at one with the Buddhist temple which one accesses directly through the lovely grounds. 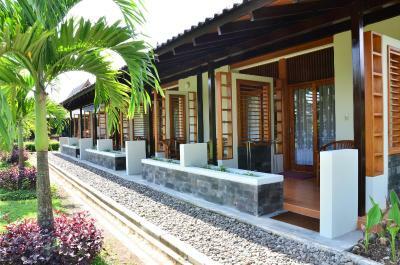 Manohara Resort This rating is a reflection of how the property compares to the industry standard when it comes to price, facilities and services available. It's based on a self-evaluation by the property. Use this rating to help choose your stay! 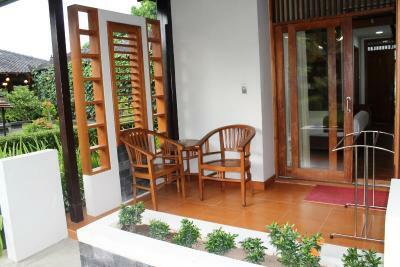 Manohara Resort provides comfortable accommodation set in the backyard of Borobudur Temple. 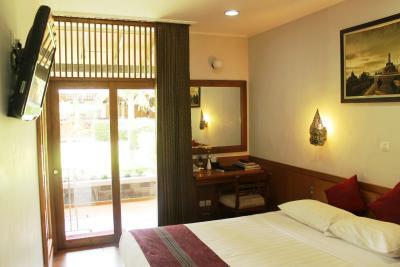 Room rates include entrance ticket to the temple during normal opening hours. 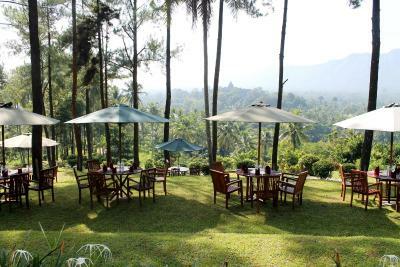 Surrounded by gardens that compliment its Javanese architecture, the resort offers an on-site restaurant with view of Borobudur. 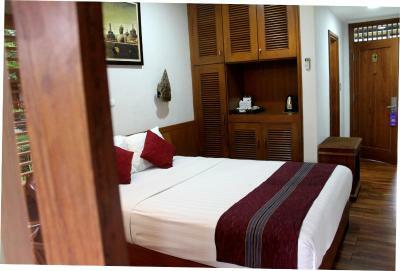 Rooms at Manohara Hotel are air-conditioned and well-appointed with a bathtub in the bathroom. 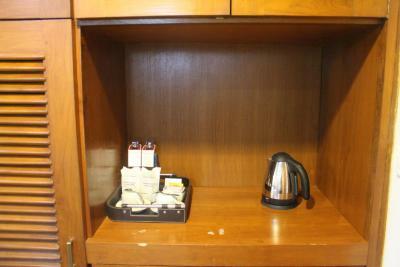 They come with a minibar, cable TV and a tea/coffee maker. The hotel’s tour desk organises excursions to tourist attractions. Guests can enjoy an early morning tour to catch spectacular sunrises over Borobudur Temple, or explore the resort ground with horse-drawn carriages or bicycles. The Manohara provides services such as airport shuttle and car rental facilities at additional charges. 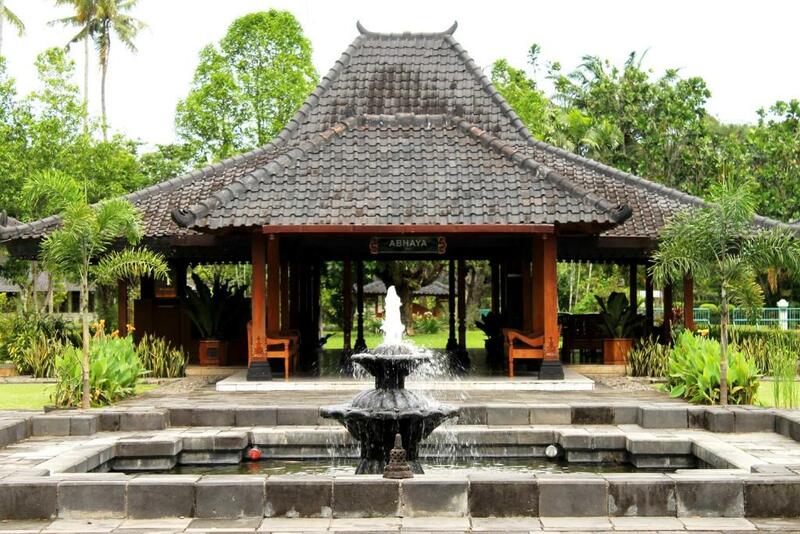 The resort is a 20-minute drive from Magelang City and a 1.5-hour drive from Adi Sucipto International Airport in Yogyakarta. 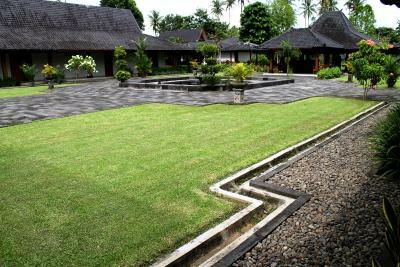 When would you like to stay at Manohara Resort? House Rules Manohara Resort takes special requests – add in the next step! Manohara Resort accepts these cards and reserves the right to temporarily hold an amount prior to arrival. room is rather old. soap tray is broken. location is superb as well as staff. Overpriced compared to other hotels in the area. You’re paying for the convenience of its location, but still...I wouldn’t stay for more than a night. Rooms are dated and could use a remodel. The breakfast and the afternoon tea is very nice,taste good. The aircon in one our rooms did not work well despite having someone check it. We enjoyed the complimentary afternoon tea and buffet breakfast. I like it because it is clean,peaceful and near the temple. The meal could be more versatile, especially is afternoon tea, too simple. Comfortable, staff is nice, location is near. We were asked to pay IDR 200,000 more than the price on booking.com for no reason. We didn't even take advantage of the free sunrise tour they offered us. No welcome drink for "genius" travellers. 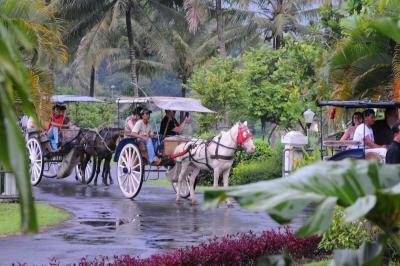 Great location for visiting the beautiful Borobudur temple, well maintained gardens, calm atmosphere, friendly people. The educational movie was old but interesting. The hotel is too old and expensive for the price. Noise of air conditioner was high. Room Bar should have more options of snacks and drinks. Mosquito repellent should be provided in the restaurant in the evenings. Price is a little on the high side given the standard hotel and room facilities, so you are really paying for the wonderful location. 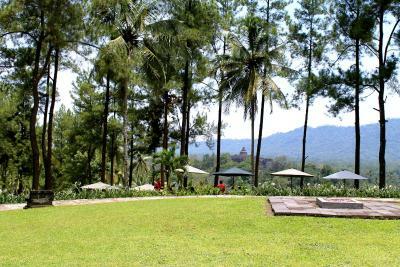 Location is simply superb, with the world wonder Borobudur literally in the backyard. It's just a short walk to the temple versus the long walk from the main gate if you stay in other hotels. The hotel provides a pass which allows you multiple entries to the temple which means you can go in the morning and late afternoon when the weather is cooler (or really as and when you like). The convenience makes the sunrise tour very accessible and enjoyable. Warm water in the shower is only last for few seconds The provided audio visual facility of Borobudur but is outdated and broken in some part. Expensive. 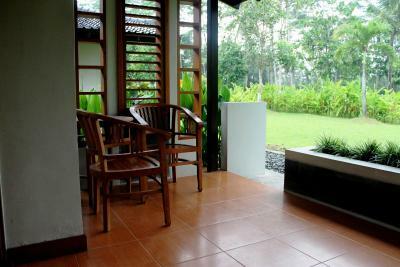 Borobudur is just 5-10 minutes by walking from the property. They provide a very good breakfast and nice snacks/coffee break. Having dinner in this hotel is not expensive and it's also nice. Lacking amenities like Gym and far from town.